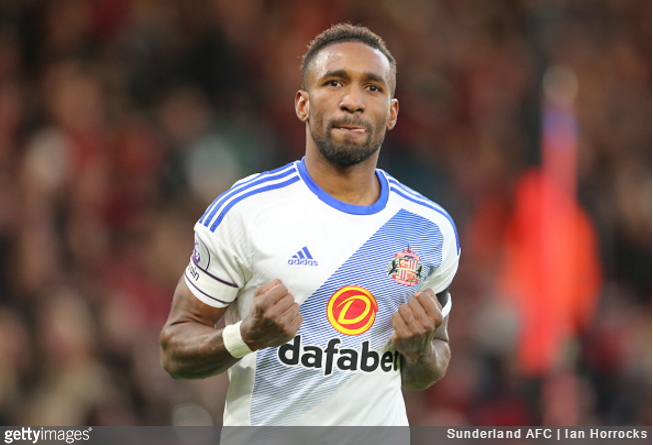 Looks like Jermain Defoe has no plans to hang around at Sunderland any longer than he has to. Indeed, it’s being reported – principally by Sky Sports News – that the 34-year-old striker has agreed a deal to join Bournemouth. Of course, Defoe spent a season at the Cherries as a younger man, scoring 19 goals in 29 games for them on loan from West Ham. Nothing is official as yet, but the numbers being bandied around are a three-year contract, worth a stately £130,000-a-week. Blimey. Given that they’re not overly sensible, there’s every chance that kind of weekly wage could come back to bite Bournemouth long before Defoe’s contract expires. Still, that’s the price of doing business. Do Bournemouth seriously think they’ll get value out of that for a 3 year contract?! Does seem an awful lot for such a player. Also three years? Wonder if he’ll see that out.